It's almost that time of year again, 4th of July! 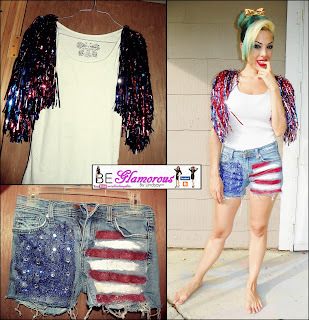 I shared a great glitter makeup look last year, so this year I decided to share a DIY outfit! 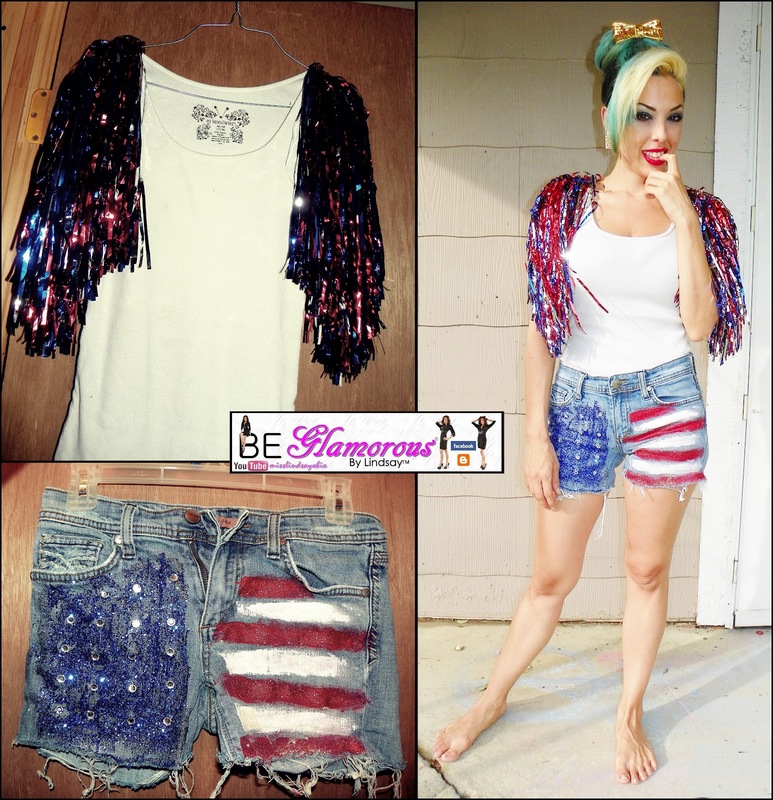 I love the whole Ameican Flag shorts that are being seen just about everywhere and I am sure there are probably a few tutorials for shorts similar to these. I still haven't came across a pair I liked or that is reasonably priced so this is my take on the trend. I thought to make my tutorial more unique then the others floating around was to add glitter, rhinestones, and a rockstar tank top! I really love the pom poms stores come out with on holidays. I never actually see anyone using them at holidays, but I really like them so I have bought some and always made them look like hair or used it as it is, a prop for pictures! I thought what a perfect way to make a trendy top for this year 2012. I love it, I hope you do too! Last Year's Makeup Tutorial would look great with this. OOO!! I love these sooo much! Must do DIY! Love it!! I need to design more, I know whis was basic but I truly love it and haven't seen anything like it. I have folders of designs I have drawn since I was a girl. Have a Safe and Glamorous Holiday!